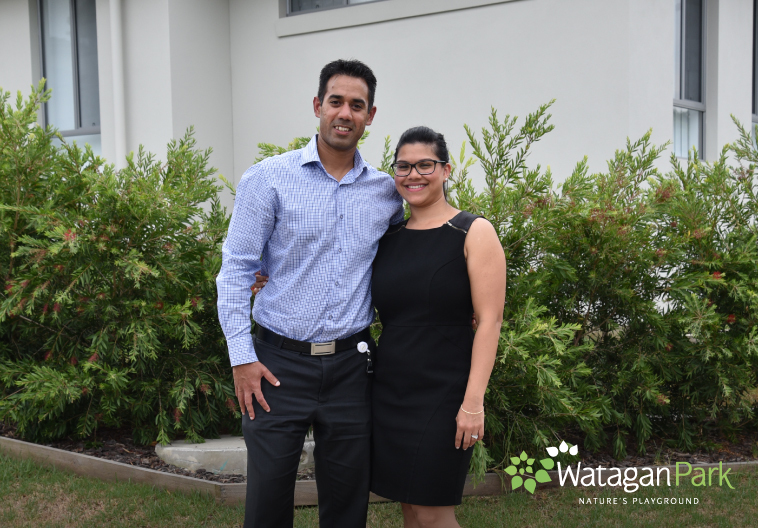 Karishma and Jayesh are ditching the fast-paced Melbourne lifestyle to enjoy a life in the outdoors at Watagan Park. Jayesh and Karishma are both originally from Mauritius. They made the move to Australia as university students, and now as Australian residents, they’re ready to settle down and enjoy an adventurous lifestyle at Watagan Park estate. The pair married in November last year, and they both currently live in Newcastle, with Karishma making long commutes to her job as a Health Information Manager at Gosford Public Hospital. Jayesh works as a Finance Manager for Toronto Private Hospital and Dubbo Private Hospital, but they are both looking forward to creating more of a work-life balance when they move in to their new home. Both Jayesh and Karishma can’t wait to start exploring the Watagan trails, and once they’ve moved in to their new home, a new German shepherd will be joining the family. “The more time we save in travel, the more time you can spend doing outdoor things and actually enjoying life. And also you don’t want to be stuck in traffic for an hour, and that’s just the daily commute. In Melbourne, on average you’ll be spending about 45 minutes to an hour for just 20 kilometres or 17 kilometres,” shares Jayesh. But it’s not just the trails that motivated the newlyweds to join Watagan Park estate — they were drawn to the environmental consciousness of the area. “Knowing that New South Wales and Australia as a whole is always suffering drought, when you’ve got estates like Watagan Park who is working with Cooranbong Water to recycle the sewer water and provide that back to your home is a big tick,” explains Jayesh. After signing on to become a part of the estate and getting to know the neighbours, Jayesh and Karishma can’t wait to join the community when their home is finished later on this year. Join Karishma, Jayesh and other like-minded families at Watagan Park with 510sqm to 714sqm blocks selling. House and land packages also available.